You are here: HomenextHistorynextThe Moving Prefab at Eden Camp - and an unexpected discovery! Prisoner of war mess huts. 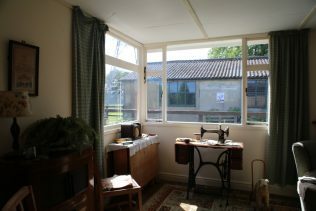 Eden Camp Museum. Malton, North Yorkshire. Nick Hill, museum manager, and us in front of the Tarran prefab and at the exhibition. 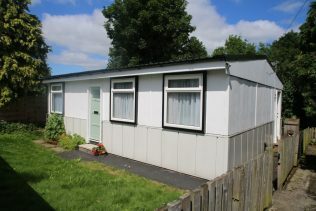 Susan's father-in-law's Plum Street prefab, sadly demolished. Norton, North Yorkshire. 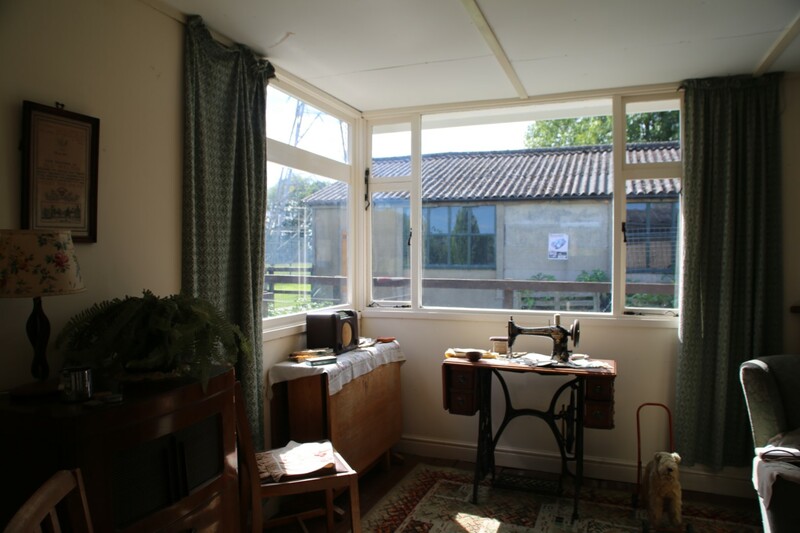 Eden Camp Modern History Theme Museum is located in Malton, North Yorkshire and is a fascinating place to visit. 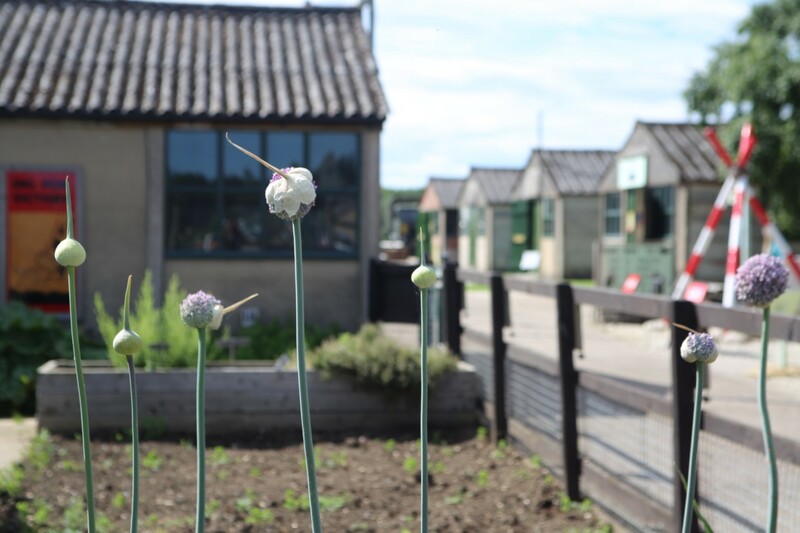 In use as a prisoner-of-war camp from 1944-9, the site was used for grain storage until the mid 1980s when the owner, local businessman Stan Johnson, intended to build a crisp factory on it! 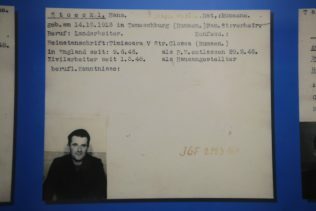 He was persuaded by some former Italian POWs, who wanted to visit the site, that it could be kept and developed as a museum and memorial. 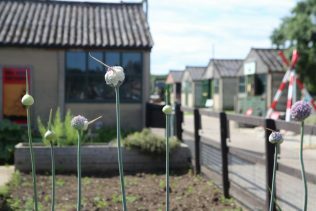 To read more about the history of Eden Camp, read about it on their website. If you get a chance to visit, it is very interesting and absorbing. Apart from the mess huts, Eden Camp also has a Tarran prefab! We contacted Jonny Pye. who curates the exhibitions and archives, in December 2015 to see if we could arrange a joint event. We had a nice lot of email conversations in between and settled on 1 July 2017 for a Moving Prefab exhibition and tours of the Tarran which is not normally open to the public. The Tarran was donated by the local council and constructed in 1992, with allotment and memorial gardens. It has been beautifully decorated and was a real privilege to be able to show visitors around. Jonny was on holiday, and we were greeted by Nick Hill, the museum manager, who showed us around the afternoon before. On the Saturday A big group arrived by coach from Batley Girls School, and they were the first to have tours of the Tarran while the other schoolchildren stayed in the mess hut to look at the exhibition and talk about prefabs! We really enjoyed the pre-fab tour and were particularly impressed that the world record was 42 minutes for building one. We have pre-fabs in Heckmondwike near our school. 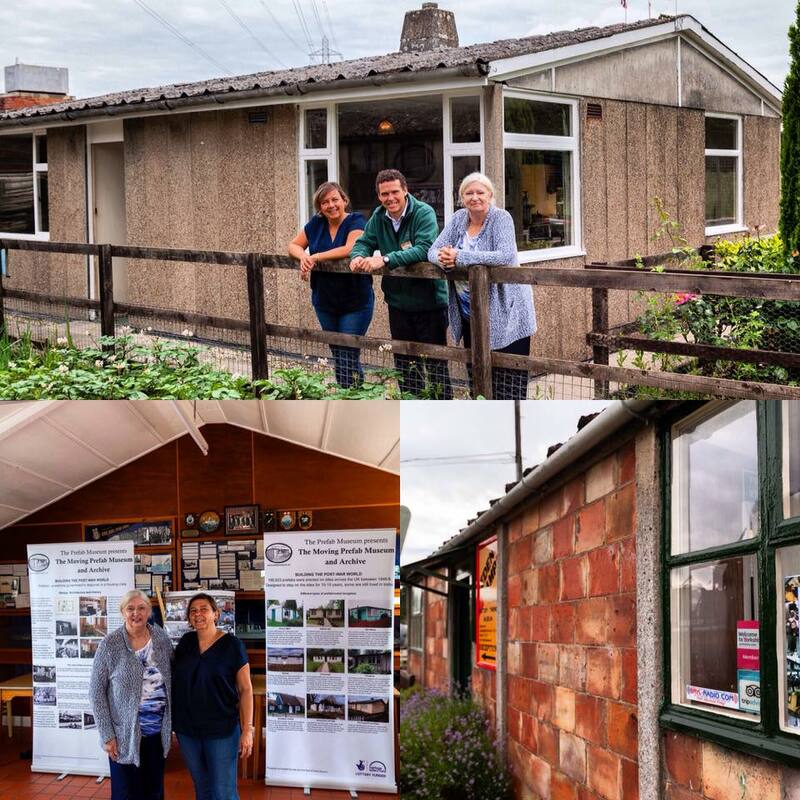 Plenty of people who visited the exhibition wanted to see inside the prefab, and we were very pleased to greet Neil Midgley, super-prefab-scout who wrote a blog post about Swedish houses for us, and his sister Gill who lives in their family one in Pool-in-Wharfedale. We will visit them later in August to look inside and talk with Gill and her neighbours. Many thanks to Nick, Jonny and all the staff at Eden Camp who made us so welcome and our event so memorable and enjoyable. The following day we went to Norton nearby. 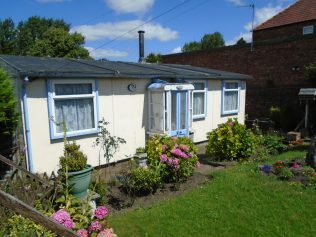 In April this year Susan emailed us about her father’s former prefab in Plum Street, Norton, which had been demolished. 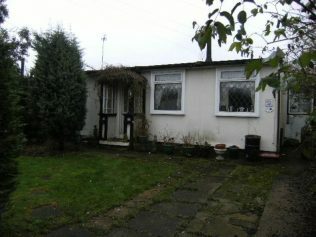 Her father told her he thought another prefab still existed and the roof had blown off it in a gale. Imagine our delight when we discovered not one but two AIROH prefabs still lived in. We knocked on the door and were greeted by Mrs Bunting. It was her roof that had blown off, but she had it replaced with a new one. 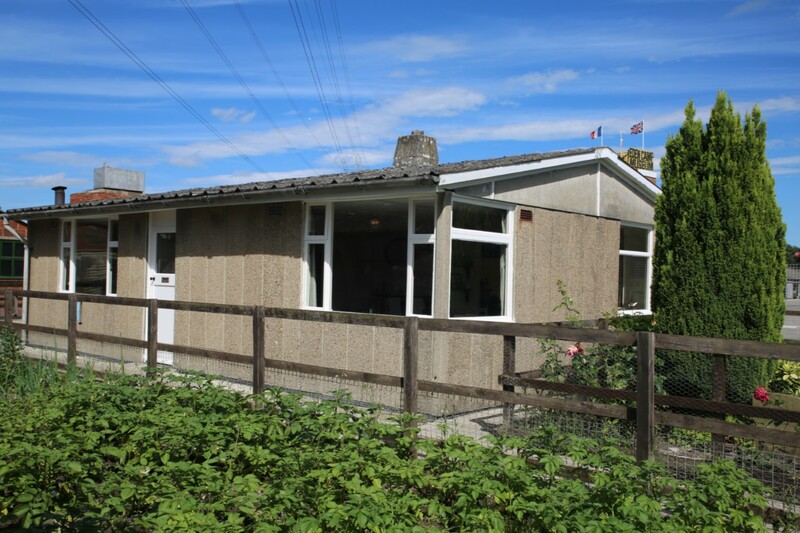 We gave her a copy of the Prefab Post and hope to visit Mrs Bunting when we travel to Yorkshire in August. A wonderful trip for the Moving Prefab Museum and Archive!